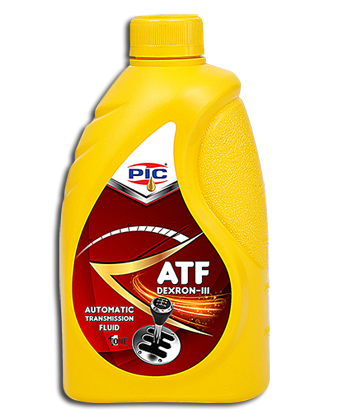 PIC ATF III is a superior quality automatic Transmission and power steering fluid. They are formulated from high quality solvent refined mineral base oils combined with shear stable viscosity index improvers. Selective addictive package to obtain anti-wear , auto-oxidant, anti-foam properties. These oils can also be used in automotive Transmissions, Hydraulic systems, power steering and certain manual transmissions. Good frictional properties gives smooth shift performance. Prompt circulation and effective lubrication at low temperature.